I haven't finished reading. But I felt like it is written for easy money with nice title. 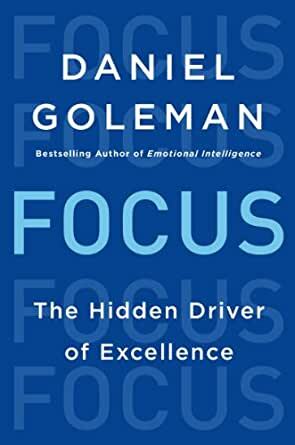 I couldn't help but focus on every concept , some repetition but a brilliant take on the fundamental structure, science and human side of focus and why it has a place in any high performing life. There weren't too many new or interesting pieces of information in this book for me. It was, however, a good summary of all the current literature on the subject of excellence e.g. the 10,000 hour rule; and the myth of multi-tasking. This is a good introduction to some interesting ideas on achieving excellence. 2.0 out of 5 starsA big disappointment. Not worth buying. This book has good soundbites, snappy chapter and section titles, but the information in it is a re-hash of magazine and newspaper articles, most of them not even relevant to the title of the book. Goleman is a newspaper writer, and this is clear from this book. It feels more like a series of unconnected articles on psychology ranging from good to very ordinary. It appears the author is simply aiming to ride the success of his previous books by putting together a bunch of shallow articles on topics that have been popular on internet sites in the past 4-5 years. The writing style is sensationalist reporting which raises our expectations, only to be disappointed by the lack of real content in the article. If you're a regular reader of internet sites and blogs, there is nothing new here. One aspect of modern journalism is the shameful plagiarism, the habit of taking a well-known idea / pre-existing knowledge, and dressing it up in some new soundbites, to make it read like some great new discovery or revealation, and then taking credit for it (or giving credit for the knowledge to the person who simply created the new sound-bite). Mr. Goleman is a prime example of this kind of shallow writing. Almost everything in this book has been known for decades and some concepts, like meditation (which is re-named 'mindfulness' or 'mindful awareness' here). Not once does Mr. Goleman credit the original source of this knowledge which is the science of yoga and has been known in India for thousands of years. 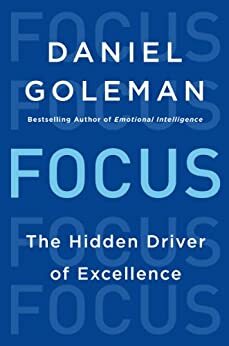 An average cultured Indian knows more about mind-control, focus and meditation than all Mr. Goleman's so-called experts - it is part of their upbringing. Mr. Goleman shamelessly plagiarizes this knowledge without attribution and ruins it in his version. He does the same with all the other 'knowledge' he appropriates from original research done in the past few decades - reduces it to shallow soundbites without crediting the original source. I would give this book a 1-star rating, but there might be some readers who may not be aware of some of the hodge-podge of ideas here and they may get some benefit, so I give this 2 stars. In summary, a big let-down. Not worth buying.